The [tag]perimeter offense[/tag] is a very basic, but often used [tag]offense[/tag]. As the name states, it is an offense based around the perimeter of the offensive court – primarily run around the 3-point area. If you are running the perimeter offense, generally you should have your best shooters / passers on the floor. Depending on the game situation you are playing for, you will need a combination of players. • If you are running a perimeter offense because you are playing a strong zone defense, I would suggest your quickest players on the floor. This is because one of the reasons you are running the perimeter offense against a zone defense is to make quick passes to open up shooting lanes or driving lanes. 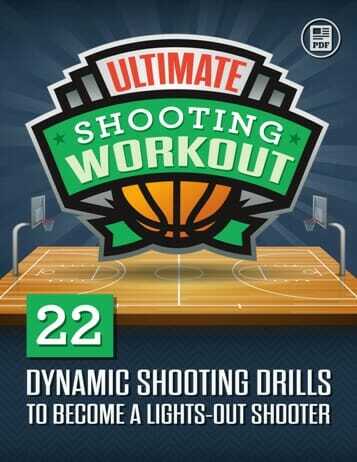 So, the players need to be quick to make passes and quick to hit the holes for shooting or driving. 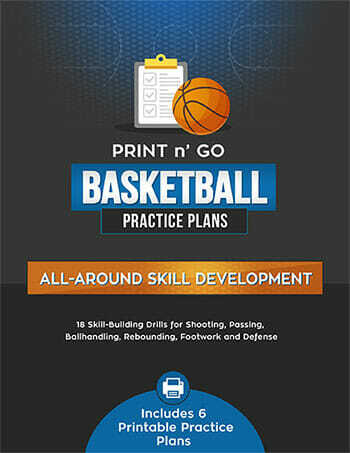 • If you are running the perimeter offense because you need a late game three-pointer, then you obviously need your best shooters on the floor. • Trying to run the clock out at the end of the game requires your best passers and dribblers. There is a good chance your players will get fouled or they will be facing pressure defence, and they may need to dribble out of the trouble. 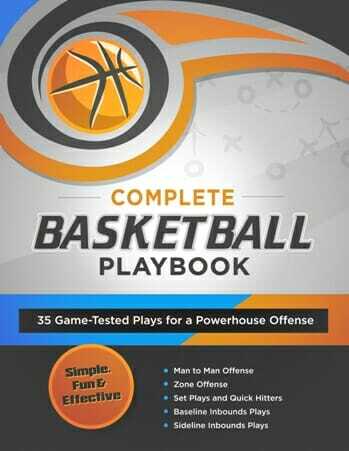 • If you are running the perimeter offense as a good change of pace to keep the opposing team guessing when you are going to run a man-to-man offense, and a zone defense. The perimeter offense would most often be considered a valuable ‘tool’ in a coaches’ toolbox. It is a versatile offense that you will find has a few options that can give it an added dimension. If you throw a post player in to the mix, you all of a sudden have a formidable threat to score the deep field goals, or buckets in the paint.